When I first moved to London in 1996 I lived on a boat. This is one of a number of articles I’ve written about this experience. It appeared in ‘Talk Of The Town’, the Independent On Sunday’s short-lived New Yorker-style supplement, on April 20, 2003. Heading north from the Surrey suburbs, the back seat of my dad’s car stacked with clothes, books and CDs, it all seemed straightforward. I was a boat sitter, pure and simple, looking after a canal boat moored in Lisson Grove (where was that? Who cared?) for a couple of months, just the summer, while I waited for something better, something drier to come along. It was a foothold into London life, but no more. I certainly wouldn’t be there for long. That was seven years ago. This summer, I’ll finally be packing up my bric-a-brac, much of it the same in fact, and heading back south over the water, back to dry land. Boat life is over; while it lasted, it was everything. In the summer of 1996, Dazzler was – is, the old girl still exists after all – a small, slapdash, cosy vessel, ineptly painted in green and red and just 23 feet from bow to stern. But inside was everything that young man, newly freed from home, would ever need. TV, fridge, oven, shower, toilet, double bed and an 0171 telephone number; Camden was a mile in one direction, Notting Hill a mile in the other and the West End just a short trek south. Idyllic. The mooring itself was ludicrously unattractive, a slab of urban ugliness slapped between the twin charms of Regent’s Park and picture perfect Little Venice (‘Do you live in Little Venice?’ people would ask. ‘Not quite,’ I’d reply). On one side of the ragged and uneven towpath, weeds spilling through the cracks, was a huge brown-brick electrical substation that, we would proudly boast, had once been a target for IRA bombers. Periodically, it would let forth a monstrous, shuddering belch as it poured electricity through the wires that ran along the road at the top of the towpath. On the other side was a massive, grey, sprawling council estate, built upon the site of an old schoolyard and now home to lairy kids who, every school holiday without fail, would pelt our pretty, targetable boats with bricks and bottles. ‘A narrowboat? It must be so peaceful,’ people would ask. ‘Not quite,’ I’d reply. At first, my fellow boaters were an intimidating lot. They’d gather by the largest boat, so big it was moored parallel with the towpath rather than sticking out into the canal as the others were. It was a long, hot summer and the crowds would stand at the nearby barbecue drinking, chatting and laughing, everybody brown and weathered, with hands and torsos lined by ropes and engines the hard outdoors. They’d fall silent as I, pasty pale and thin with unmarked skin, scurried past. One or two would maybe nod in vague recognition. ‘New lad, Dazzler,’ the whispered explanation would follow me aboard, where I would shut the curtains and turn up the music to drown out the carousing that lasted long into the night. It was thanks to my next-door neighbour that I broke through and become an honorary boater. She was my age, bright, attractive, posh and loud. Great fun. A bit loopy. A powerful personality, she forced her friendship upon me, and me upon my neighbours. I learnt who they were: the actors, perennially resting, the couriers, students, bankrupts, welders, writers, dossers and drinkers; riff-raff, drifters from the acceptable fringes of society. Once a year this patchwork neighbourhood would, in its entirety, up moorings and take their boats round the London ring, from Paddington to Limehouse, Limehouse to Brentford, Brentford to Paddington. Friends and neighbours waving to each other and taking photographs as they floated past the Houses of Parliament. Nights on the ring, like nights on the towpath, would be fabulous social affairs. Barbecues would last all summer long. Sometimes, you’d be on your way home, or heading out, on a Friday night and be asked to stop and have a drink with one of the gossipy groups that would inevitably congregate along the towpath at the first sight of sunshine. Bottle followed bottle and so Friday would slip into Saturday and Saturday would become Sunday. Lazy, warm and indolent. Before long, I came to recognise another pattern: one of new arrivals. Although I felt it had taken me an age to be accepted I soon realised that it had happened practically overnight. So it was with others. You’d meet them briefly one weekend; a week later they’d be taking to your old friends as if they were their old friends. Also routine was the way I’d been dragged in – renting for a few months and staying for a few years. Fresh faces – passing friends or overnight guests – would still be there weeks, months, years later, joining the throng round the barbecue, laughing at joggers and in turn scrutinising new faces. It had that appeal, that attraction for a certain kind of person. Time passes and things change and London’s creeping gentrification is difficult for even this hardbitten community to avoid. A new breed cottoned on to our secret life. ‘But boats in central London must be very expensive?’ people would ask. ‘Not quite,’ I’d reply. Boaters realised that the floating houses they owned were fetching London property-market rates. Drifters by nature, they moved on and away, to other ways of life, to other moorings in other parts of the country. Having appeared abruptly, they faded away, appearing less and less often, their places taken by bankers and accountants and managers and assorted nine-to-fivers. Or so it seems. Some remain, those who make a living of the boats and off the new green boaters, still gathering in ever-decreasing to chuckle about the newbies and exchange news about old friends. Stories are swapped. Of Pump-Out Mick, who sold a boat and disappeared, they said, when he was told he had months to live. Of the bon vivant banker turned vicar, who married my next-door neighbour and took their boat to Cambridge. Of Irish Eddie, whose wife would return from work to measure his humour by the amount of wine he’d consumed – ‘so it’s been a tw0-bottle lunch has it Eddie?’ she’d say if he was being particularly gregarious. Of others: Frank, the one-time ‘Dr Who’ monster, Buzz the publican, Yorkshire Mick, the ice-cream seller and Smiley Pete. ‘You must have met some interesting characters,’ people would ask. Oh, quite. 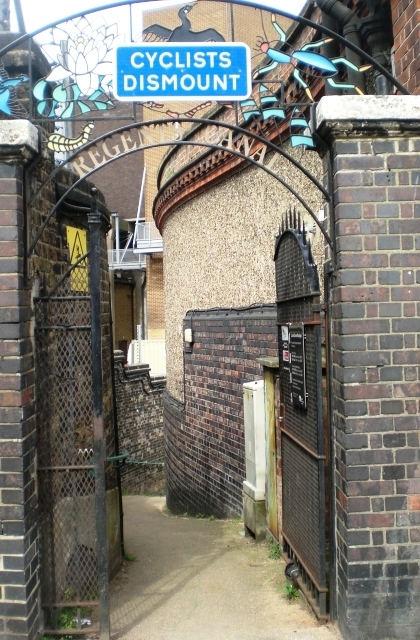 This entry was posted in Archaeology, Boats, Journalism, London and tagged canals, Dazzler, Lisson Grove, Lisson Wide, Little Venice, Marylebone, narrow boats, regent's canal. Bookmark the permalink. Hi Peter. 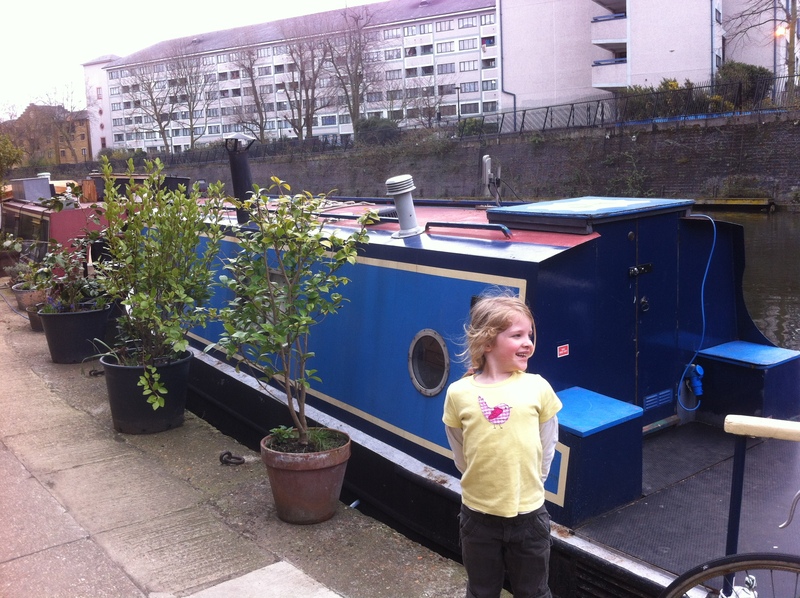 Love the new blog site, and the memories of living by the canal; 23ft is pretty damn Spartan! And don’t worry – there are still plenty of tune-in-and-drop-outs living in narrowboats. Hello Pete – great to see this up and running; bookmarks have been amended accordingly. Onwards and upwards indeed! Not having traveled outside of the U.S. very much and given the opportunity to live on a million and a half dollar custom-built sailboat on the Riviera, was there something more pressing I needed to be doing? I ended up being in Antibes (between Cannes and Nice) for over two and a half years, in Marbella, Spain, for seven months, sailed across the Atlantic and worked for the owner for three and a half years altogether. Woo, the Big Smoke lives! Great to see your knowledge and passion about the city channeled into your very own blog, Pete. Looking forward to the many great posts, as yet unborn, that will appear on these pages. Go Big Smoke. Great that you have the energy to keep going. Living in a boat could be an interesting experience. Sounds lovely at summer, but cold at winter.